Want to do Sleight a favor? Call it a superhero movie. Viewed through that particular genre lens, J.D. Dillard’s human-scaled origin story looks like a refreshing change of pace. Small enough in scope and budget to have premiered at Sundance last year, the film bucks most of the major trends in cape-and-cowl fare: It’s self-contained, it goes easy on the special effects, and it stars a young black actor instead of some blond dude named Chris. If this is a superhero movie, it’s a welcome deviation from formula, its strengths enhanced by the yellow sun of comparison. 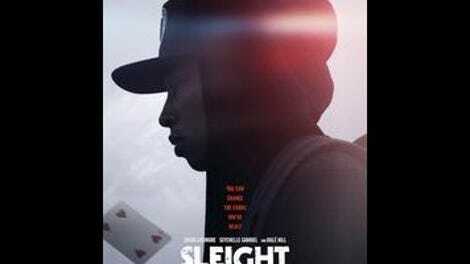 Thing is, though, it’d be much more accurate to file Sleight in a different section of the hypothetical video store. All the comic-book elements are accents; what we’re really watching is the highly conventional, highly familiar tale of a good guy trying to extricate himself from a bad situation, the life of crime he’s fallen into to provide for his family. There is a formula here. It’s just had a Tony Stark suit of armor thrown on top of it. By day, Bo (Jacob Latimore) works the boardwalks and tourist hubs of Los Angeles, performing magic for pocket change. By night, he moonlights as a drug dealer, selling molly to party-hopping college kids. Like Peter Parker, Bo is both a science whiz and an orphan; once on the fast track to academic glory, he abandoned his university plans when his mother died, leaving him alone to look after an adorable kid sister, Tina (Storm Reid). As a street magician, he doesn‘t have an ace up his sleeve so much as a secret weapon under it: the powerful magnet he’s somehow installed into the flesh of one arm, allowing him to levitate and manipulate metal objects with the flick of his wrist. It’s through this Magneto-meets-David Blaine parlor trick that Bo meets his Mary Jane, barista Holly (Seychelle Gabriel). Will things work out for the young couple? Or will our hero be swallowed up by the increasingly extreme demands of his night job, what with smooth kingpin boss Angelo (Psych star Dulé Hill) revealing the more ruthless practices he’s been concealing under a mask of entrepreneurial benevolence? Latimore, an R&B crooner who’s transitioned into a Hollywood acting career, lends Bo an immense underdog likability: Whether wowing a crowd or wooing his love interest, his low-key charm is, well, magnetic. It’s not nothing, building a movie around a young black man with superpowers; 20 years after Spawn and Steel jointly diversified the genre, superhero movies starring people of color are still sadly few and far between. (That Bo dons a hoodie for his climactic, splash-panel act of bravery feels faintly significant, like a rebuke to the demonizing George Zimmermans of the world.) But, again, Sleight isn’t really a superhero movie. For most of its running time, it’s a stubbornly predictable and ordinary get-off-the-streets melodrama, shuffling an appealing character through one recycled plot element after another, including a vision of criminal enterprise that never feels particularly dangerous or suspenseful, even when rival dealers are getting their hands chopped off. 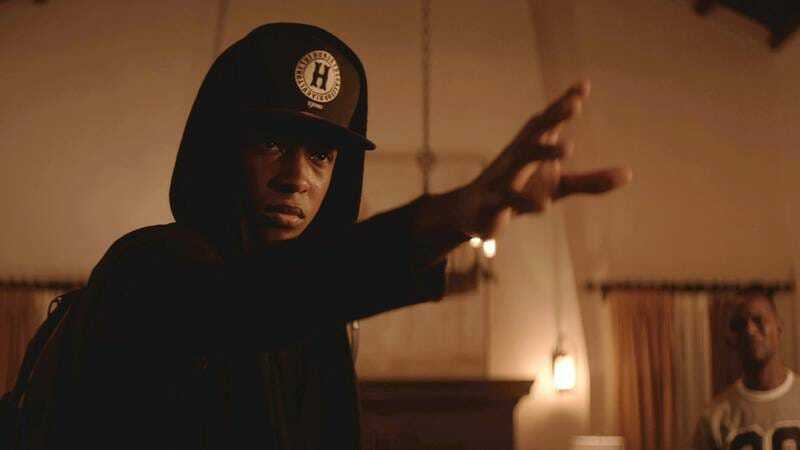 Sleight may dodge the profile of your average overblown comic-book fantasia, but it does so basically by trading one set of clichés for another. Its secret identity is a boring movie.